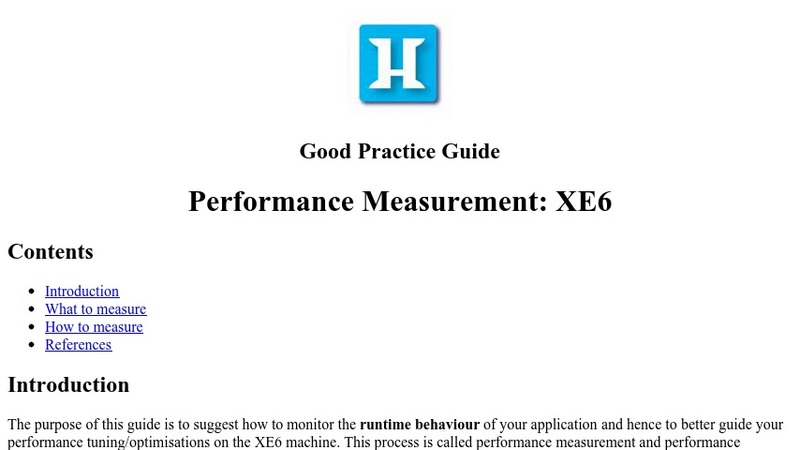 The purpose of this guide is to suggest how to monitor the runtime behaviour of the user application and hence to obtain better information to apply performance-tuning optimisations on the XE6 machine. This process is called performance measurement, and profiling tools (alternatively called performance measurement tools) are available on HECToR to help users identify the bottlenecks of their code. This guide covers what and how to measure.